This privacy notice provides you with details of how we collect and process your personal data through your use of our site www.growdie.com. By providing us with your data, you warrant to us that you are over 13 years of age. Grow or Die is the data controller and we are responsible for your personal data (referred to as “we”, “us” or “our” in this privacy notice). It is very important that the information we hold about you is accurate and up to date. Please let us know if at any time your personal information changes by emailing us at dean@growdie.com. Communication Data that includes any communication that you send to us whether that be through the contact form on our website, through email, text, social media messaging, social media posting or any other communication that you send us such as via our third-party parties, including the likes of Google, Hootsuite, Eventbrite and Mailchimp. This data collected may include name, email address, address, phone number, date of birth, business name and address, financial details, personal information you provide to us such as feedback forms, Google forms, and survey information. We process this data for the purposes of communicating with you, for record keeping and for relationship management. Our lawful grounds for this processing is our legitimate interest which in this case are to reply to communications sent to us and to keep records. Client Data that includes data relating to any purchases of services such as your name, title, invoice address, delivery address, email address, phone number, contact details, purchase details. We process this data to supply the services you have purchased and to keep records of such transactions. Our lawful grounds for this processing is the performance of a contract between you and us and/or taking steps at your request to enter into such a contract, informing you about updates or services and record keeping. Prospect Data that includes data you have supplied in requesting information about our services and/or to access resources such as free downloads and guides. We will process this data to reply to you and for recordkeeping purposes, for example. Our lawful grounds for processing is legitimate interest. User Data that includes data about how you use our website and any online services together with any data that you post for publication on our website or through other online services. We process this data to operate our website and ensure relevant content is provided to you, to ensure the security of our website, to maintain back-ups of our website and/or databases and to enable publication and administration of our website, other online services and business. Our lawful grounds for this processing is our legitimate interest which in this case enables us to properly administer our website and our business. Technical Data that includes data about your use of our website and online services such as your IP address, your login data, details about your browser, length of visit to pages on our website, page views and navigation paths, details about the number of times you use our website, time zone settings and other technology on the devices you use to access our website. The source of this data is from our analytics tracking system. We process this data to analyse your use of our website and other online services, to administer and protect our business and website, to deliver relevant website content and advertisements to you and to understand the effectiveness of our advertising. Our lawful grounds for this processing is our legitimate interest which in this case are to enable us to administer our website and to determine our marketing strategy. Mailing List Data to send email newsletters and details of our services and offers. We use Hootsuite and MailChimp to deliver our emails. Marketing Data includes data about your preferences in receiving marketing from us and our third parties and your communication preferences. We process this data to enable you to partake in our promotions such as competitions, prize draws and free give-aways, to deliver relevant website content and advertisements to you and measure or understand the effectiveness of this advertising. Our lawful grounds for this processing is our legitimate interest which in this case are to study how clients use our services, to develop our services and determine our marketing strategy. We may use Customer Data, User Data, Technical Data and Marketing Data to deliver relevant website content and advertisements to you (including Facebook adverts or other display advertisements) and to measure or understand the effectiveness of our advertising. Our lawful grounds for this processing this data is legitimate interest. We may also use such data to send other marketing communications to you. Our lawful grounds for this processing this data is either consent or legitimate interest. We do not carry out automated decision making or any type of automated profiling. We will not collect any Sensitive Data about you. We may collect data about you by you providing the data directly to us (for example by filling in forms on our site, by sending us emails or providing us with your contact details such as business cards). We may automatically collect certain data from you as you use our website by using cookies and similar technologies. We may receive data from third parties such as analytics providers such as Google based outside the EU, advertising networks such as Facebook based outside the EU, such as search information providers such as Google based outside the EU, providers of technical, payment and delivery services, such as data brokers or aggregators. We may also receive data from publicly available sources such as Companies House and the Electoral Register based inside the EU. We may also collect data from social media channels such as Twitter. Our lawful grounds of processing your personal data in order to send marketing communications is either with your consent or in our legitimate interests. Under the Privacy and Electronic Communications Regulations, we may send you marketing communications from us if (i) you made a purchase or asked for information from us about our services or (ii) you agreed to receive marketing communications and in each case you have not opted out of receiving such communications since, including to receive a freebie or download, for example, where there will be follow-up emails. Under these regulations, if you are a limited company, we may send you marketing emails without your consent and you can opt out of receiving marketing emails from us at any time. Before we share your personal data with any third party for their own marketing purposes we will get your express consent. 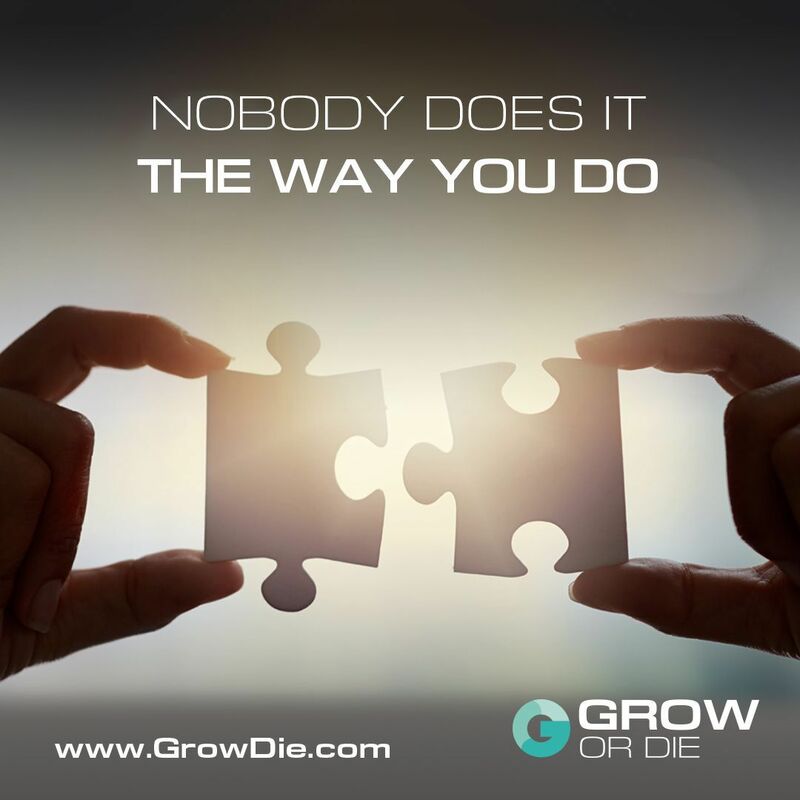 You can ask us or third parties to stop sending you marketing messages at any time by following the opt-out links on any marketing message sent to you or by emailing us at dean@growdie.com. See the section on how we collect your personal data for more details on data sharing. We may have to share your personal data with: Service providers who provide IT and system administration services; Professional advisers including lawyers, bankers, auditors and insurers; Government bodies that require us to report processing activities; Third parties to whom we sell, transfer, or merge parts of our business or our assets; Suppliers, clients, in respect of marketing activity. We require all third parties to whom we transfer your data to respect the security of your personal data and to treat it in accordance with the law. We only allow such third parties to process your personal data for specified purposes and in accordance with our instructions. We are subject to the provisions of the General Data Protection Regulations (GDPR) that protect your personal data. Where we transfer your data to third parties outside of the EEA, we will ensure that certain safeguards are in place to ensure a similar degree of security for your personal data. We may transfer your personal data to countries that the European Commission have approved as providing an adequate level of protection for personal data by; or if we use US-based providers that are part of EU-US Privacy Shield, we may transfer data to them, as they have equivalent safeguards in place; or where we use certain service providers who are established outside of the EEA, we may use specific contracts or codes of conduct or certification mechanisms approved by the European Commission which give personal data the same protection it has in Europe. If none of these safeguards is available, we may request your explicit consent to the specific transfer. You will have the right to withdraw this consent at any time by emailing us at dean@growdie.com. We have put in place security measures to prevent your personal data from being accidentally lost, used, altered, disclosed, or accessed without authorisation. We also allow access to your personal data only to those employees and partners who have a legitimate business need to know such data. They will only process your personal data on our instructions and they must keep it confidential. We have procedures in place to deal with any suspected personal data breach and will notify you and any applicable regulator of a breach if we are legally required to. We will only retain your personal data for as long as necessary to fulfil the purposes we collected it for, including for the purposes of satisfying any legal, accounting, or reporting requirements. When deciding what the correct time is to keep the data for we look at its amount, nature and sensitivity, potential risk of harm from unauthorised use or disclosure, the processing purposes, if these can be achieved by other means and legal requirements. For tax purposes, the law requires us to keep basic information about our customers (including Contact, Identity, Financial and Transaction Data) for six years after they stop being customers. Please contact us to learn more about our Data Retention Policy. Under data protection laws you have rights in relation to your personal data that include the right to request access, correction, erasure, restriction, transfer, to object to processing, to portability of data and (where the lawful grounds of processing is consent) to withdraw consent. Click here for more information. If you wish to exercise any of the rights set out above, please email us at dean@growdie.com. You will not have to pay a fee to access your personal data (or to exercise any of the other rights). However, we may charge a reasonable fee if your request is clearly unfounded, repetitive or excessive or refuse to comply with your request in these circumstances. We may need to request specific information from you to help us confirm your identity and ensure your right to access your personal data (or to exercise any of your other rights). This is a security measure to ensure that personal data is not disclosed to any person who has no right to receive it. We may also contact you to ask you for further information in relation to your request to speed up our response. We aim to respond to all legitimate requests within one month. Occasionally it may take us longer than a month if your request is particularly complex or you have made a number of requests, in this case, we will notify you. This website may include links to third-party websites, plug-ins and applications. Clicking on those links or enabling those connections may allow third parties to collect or share data about you. We do not control these third-party websites and are not responsible for their privacy statements. When you leave our website, we encourage you to read the privacy notice of other websites that you visit. We reserve the right to make changes to this Privacy Notice. It was last reviewed and updated in line with GDPR on 17/07/18, and will be reviewed on an ongoing basis.